I Just Added My Music To iTunes, But I Don’t See It! Where did it go? – Soundburst Audio Distributors, Inc. I Just Added My Music To iTunes, But I Don’t See It! Where did it go? 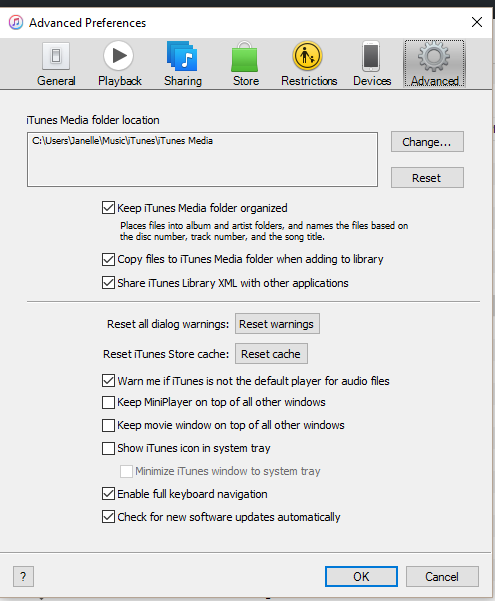 If you’ve added a folder or file to iTunes, but you can’t find it, chances are, you didn’t see the first step in our directions which you can view HERE. 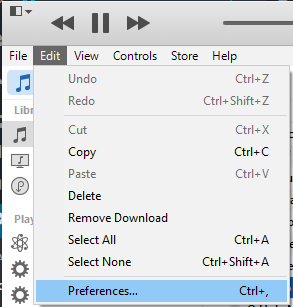 You need to make sure that if you’re using our downloads in iTunes, you make the following simple change in your preferences. Here’s how. Open up iTunes. 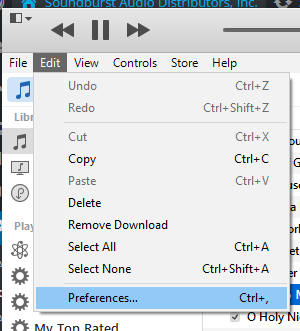 Go to EDIT -> PREFERENCES. Your preference menu will open. You need to select ADVANCED at the far right. Make sure that top three selections are checked. That should solve your problem! 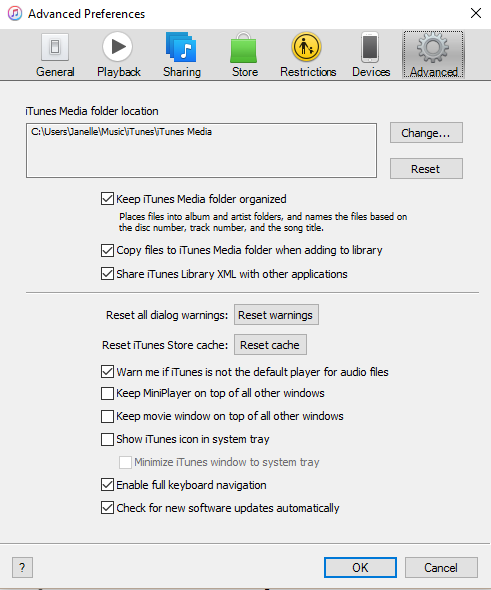 Next How Do I Import My Music Into iTunes? Previous Can I purchase microphone systems and sound systems from Soundburstaudio.com?